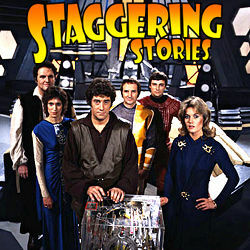 Staggering Stories Podcast #298: Maximum Power! 01:43 — Doctor Who: New series dated. 05:15 — Henry Cavill: Superman turns into The Witcher. 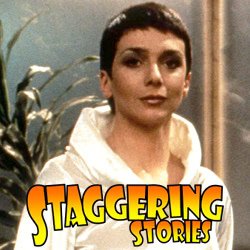 11:59 — Jacqueline Pearce: DEAD! 12:53 — Doctor Who RPG: Unofficial Dalek sourcebook. 14:12 — Peter Benson: DEAD! 14:48 — Lovett Bickford: DEAD! 15:13 — Dudley Sutton: DEAD! 16:04 — Zienia Merton: DEAD! 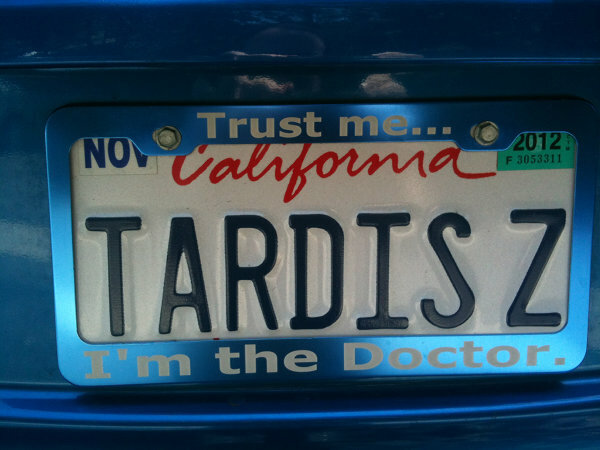 16:57 — Doctor Who: Win a chance to be see people entering a screening. 33:29 – Doctor Who: Merchandise Corner. 41:05 – Emails and listener feedback. 51:15 – Farewell for this podcast! 52:58 — End theme, disclaimer, copyright, etc. 02:36 — Doctor Who: Mary Tamm and Geoffrey Hughes – DEAD. 04:49 — Blake’s 7: US remake on the cards. 05:41 — The Hobbit: Now there are three of them. 09:56 — Doctor Who: Richard E. Grant in Christmas Special. 12:14 — Christopher Eccleston: Cast as villain in Thor 2. 14:30 – Doctor Who: Hopes and fears for S7. 26:52 – Things in Five Words. 34:17 – Blake’s 7: Thoughts on the possible US remake. 63:12 – Farewell for this podcast! 71:07 — End theme, disclaimer, copyright, etc. YouTube: William Shatner “Eat, Fry, Love”.